Connecticut Family is dedicated to showing the good and promise that we can expect from upcoming generations by highlighting the leadership and inspiring activities of area young people. The Young Leaders series recognizes the community builders of tomorrow: – students who see an outstanding need and work to meet it; who mentor and nurture others; who show leadership in inclusion, compassion, and advocacy; who work diligently (and often quietly) to further a cherished cause. Each day, and all around us, young people are motivated and working to better this world: to help, to heal, to share, to acknowledge, to grow. We’re asking regional educators are asked to nominate young people deserving of recognition. The first three profiles appear in this issue; we look forward to writing many more. If you know a young person making a difference in our world, please (with parental or guardian permission) send a brief write-up detailing their accomplishments, school, grade and contact information to Managing Editor Faye Parenteau, at f.parenteau@theday.com. Andhrose (Rose) Bazil is a senior at New London High School and participates in the Higher Edge college access program. Rose came from Haiti in 2014 at the age of 13, not knowing how to speak English, according to Chris Soto, executive director of Higher Edge. 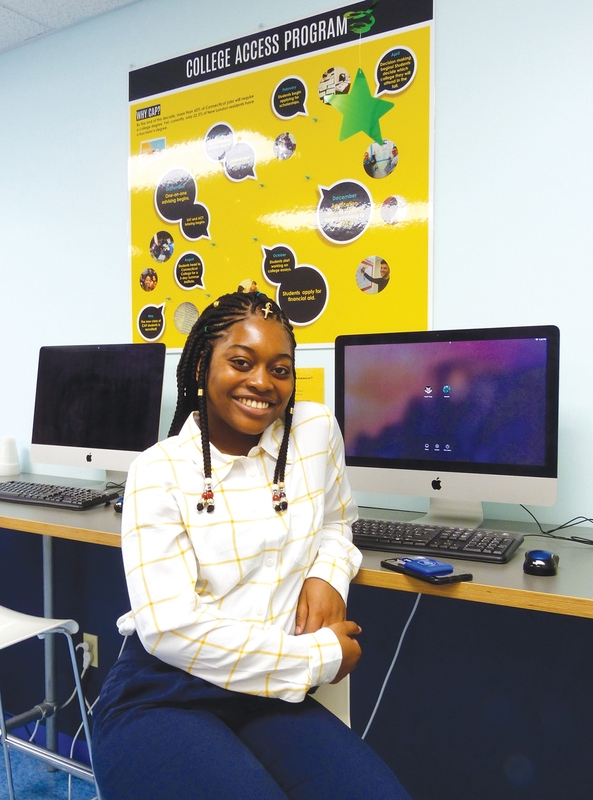 “Rose takes advantage of every opportunity we have offered here, including college visits and extra tutoring or advisor sessions, leaving no doubt that she will flourish in a rigorous academic environment,” he says. CF: What are your career goals? RB: “I want to go to college and major in political science, and I want to become a lawyer. CF: Do you think you would practice in the private sector? CF: What situations helped you make this choice? CF: Do you have a lot of support from family and community? CF: How did Higher Edge help you? CF: How do you plan to achieve your goals?